Celebrity Cruises has released a new hyperlapse tour of Celebrity Edge, the new class cruise ships taking Celebrity into a new era of expansion. In the new video, you’ll see just how stunning the new ship actually is! Now that Celebrity Cruises has started sailing from Florida we’re starting to see how the ship really looks. Rendering may look nice and shiny but a real view is always better. Celebrity Cruises has released a new tour which includes many areas onboard. Celebrity Edge is the first new cruise ship for the cruise line in six years. She recently arrived at Port Everglades, Florida to begin a new season sailing eastern and western Caribbean cruises. The ship is offering some preview cruises before setting off on her maiden Caribbean voyage on December 9. The ship will return across the Atlantic to sail 7-night to 11-night itineraries in the Meditteranean starting in 2019. The naming ceremony was held just days ago as thousands welcomed the new ship to the fleet. You can find out more right here. 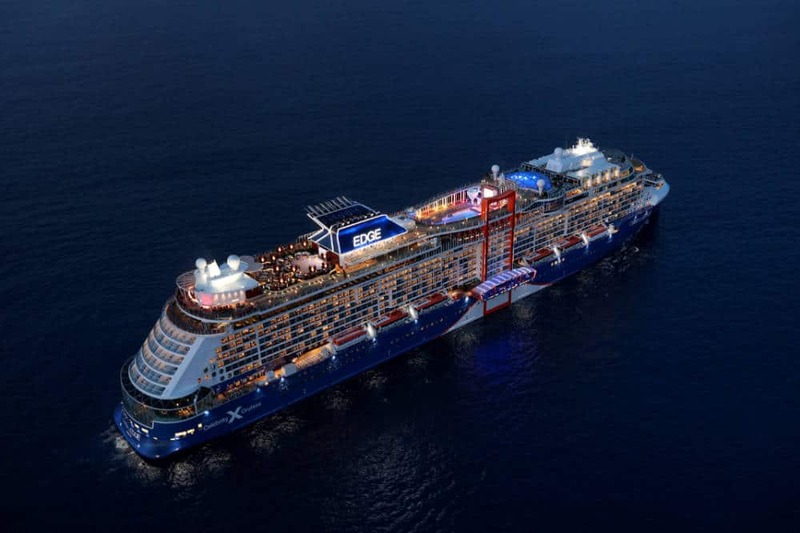 There are another three sister ships on the way coming with Celebrity Apex arriving in 2020 and then another two in 2021 and 2022.